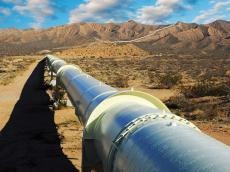 The Interconnector Greece-Bulgaria (IGB), which envisages transportation of Azerbaijani gas to Bulgaria, will change the look of the market, Trend reports citing Teodora Georgieva, executive director of the ICGB project company. The relations between Bulgaria and Azerbaijan are based on a strategic partnership in the field of energy, Georgieva told Bloomberg TV Bulgaria. Southern Gas Corridor, which will provide 1 billion cubic meters of gas to Bulgaria, is a key for the IGB, she said, adding that IGB is a part of the Southern Gas Corridor. “Gas consumption in Bulgaria is 3 billion cubic meters, of which one billion cubic meters, or more than 30 percent will be provided by Azerbaijan. This is important for Bulgaria's energy security, the diversification of sources and for more serious competition in the market. When the IGB project is ready, it will change the look of the market and our customers will benefit from more competitive prices,” noted Georgieva.